Some 500 milk suppliers were recently awarded by Cellcheck for having the lowest somatic cell count (SCC) for the previous year’s supply. The 500 Cellcheck Milking for Quality Award Winners attended the awards ceremony in Green Isle Hotel, Dublin on November 24. The award has been sponsored by the FBD Trust since its inception in 2014. 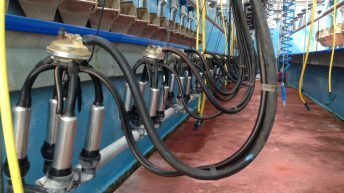 It is given to the 500 milk suppliers nationally with the lowest, weighted annual average SCC for the previous year’s supply, with any supplier with at least nine months of SCC results from one milk processor being considered eligible. The SCC range of the winners was from 37,000 cells/ml to 97,000 cells/ml. All 13 co-ops that submitted data to the Department of Agriculture have representatives in the ‘Best 500′. 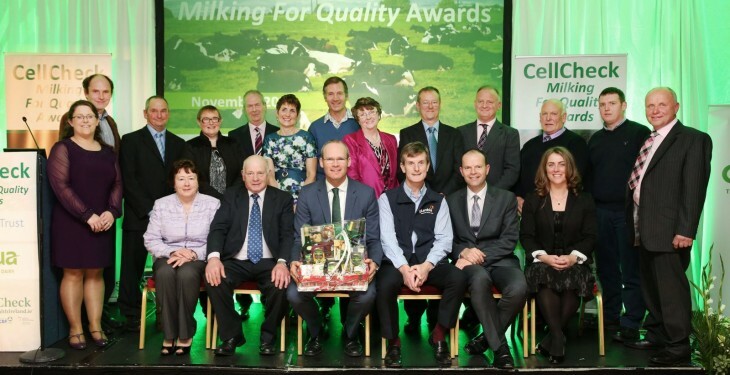 Attending the Awards ceremony, Kevin Lane, CEO of Ornua, sponsors of the awards ceremony, said the Cellcheck Awards are a celebration of Irish dairy farmers’ ongoing commitment to maintain the highest global standards in milk quality. The hard work and dedication farming families demonstrate in delivering world class quality milk, day in day out, has enabled us to build successful markets for dairy products around the world. “Ornua would like to extend our warmest congratulations to the winners and their families. They are role models who raise the bar for everyone in the industry,” he said. 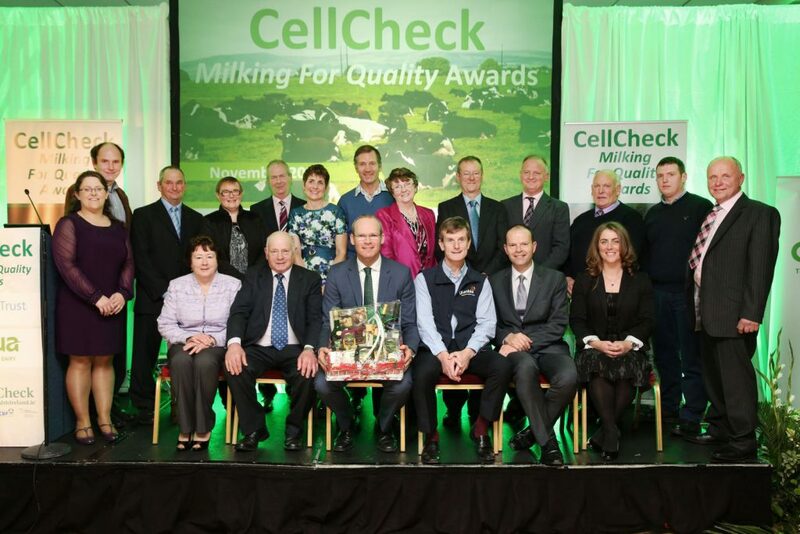 Finola McCoy, Cellcheck Programme Manager who participated in the panel discussion, said the winners of the Best 500 Cellcheck Milking for Quality Awards are producing milk at a very high standard and they are to be commended for their achievements. “Since the inception of the Cellcheck programme in 2011, we have seen a marked improvement in the levels of SCC nationally, and this is due to the concentrated efforts of farmers and their co-ops over this period,” she said. Minister for Agriculture, Simon Coveney, said it is the quality of our dairy products that underpins the ability of this country to compete in markets across the globe. 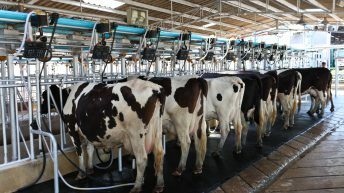 “This quality comes about as a result of the hard work of dairy farmers and their family members across the country whose attention to the many aspects of hygiene and management that contribute to low cell counts deserves the recognition and support of all of us,” he said. During the ceremony, Minister Coveney announced the top 10 suppliers nationally who achieved the lowest weighted average somatic cell count across all co-ops. In addition to receiving their Cellcheck Milking for Quality award plaques, these farmers received an additional award of a luxury food hamper, sponsored by Ornua.